Mailbox Full: Your mailbox is full, you may not be able to send or receive items. As an Outlook user, you may be familiar with this message. With the accumulation of emails, the Outlook mailbox grows in size. And users often neglect or forget this fact. They notice it only after getting the ‘Mailbox Full’ error message while trying to access the mailbox. 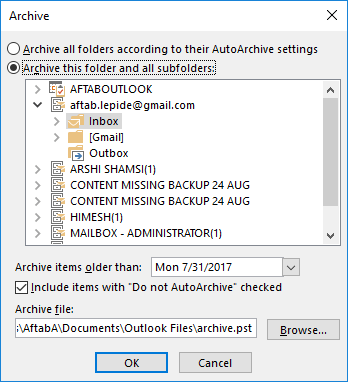 What you can do to reduce the size of Outlook mailbox? 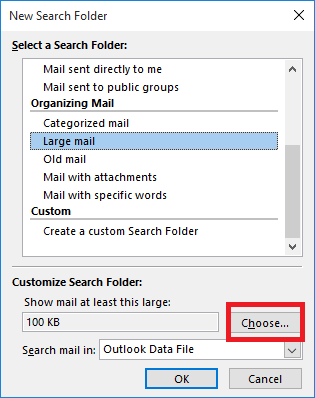 In order to send and receive emails without issues, it’s necessary to reduce the size of Outlook mailbox. Deleting some emails and attachments would be the easiest way to do this. But this alone is not enough to cope with the situation. That is why Microsoft has provided some inbuilt features in Outlook to deal with the ‘Full Mailbox’ situation. Also, some third-party Outlook management tools are extremely helpful in this regard. Open Outlook. In the folder list, click Search folder, then select New Search folder. Scroll down the list and under Organizing Mail, select Large mail. Click Choose under Customize Search Folder. Specify a size in the ‘Show mail greater than’ box (for example 6000 KB). Click OK to continue. Click OK again and a folder named ‘Larger Than 6000 KB’ is created under Search Folders. This newly created folder will get updated with the mails of size more than 6000 KB automatically. When you face mailbox size issues, just go to the Search Folders. There, click on the newly created folder, and delete your mails which are not so important. If you need, you can save the attachments to your drive before deleting it (by right-clicking on the attachment and then clicking ‘Save As’ or ‘Save All’ option). Continue doing this, until the mailbox has enough space for new emails. 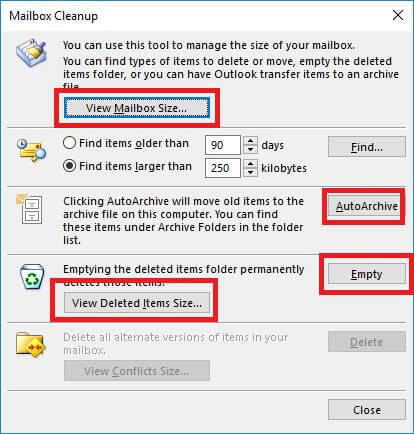 You can trim the size of your mailbox using the options in the Outlook Cleanup Tools (you can access it by following File ? Info ? Cleanup Tools). Using the Mailbox Cleanup Option, you can view your mailbox size/mailbox folder sizes. Also, you can find items larger/older than a specified limit. Mailbox Cleanup also provides you the facility to archive the older items which are not needed anymore. Click AutoArchive to move your unwanted items to a separate folder automatically. With its advanced options, you can filter the items you need to archive. And you can Browse and select the location where you need to save your archived items. With the Empty option, you can delete all the items present in the Deleted Items folder permanently. Before that, you can view the deleted folders and subfolders (if any) and their sizes. Launch Outlook. In the File tab, select Account Settings and then click Account Settings. 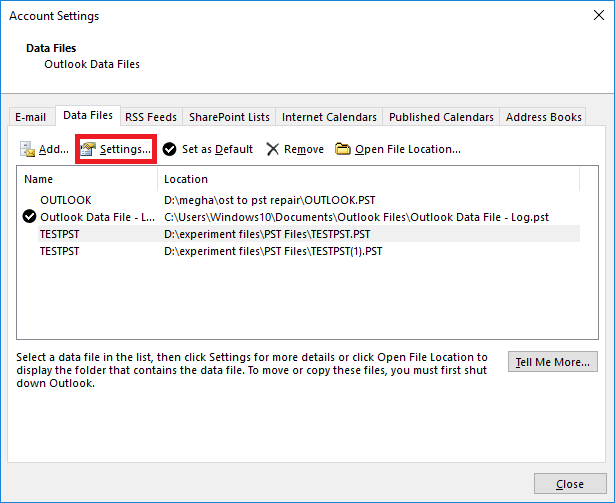 Click the Data Files tab, select the PST file to compact, and then click Settings. In Outlook Data File dialogue box, click Compact Now. This is the final step. 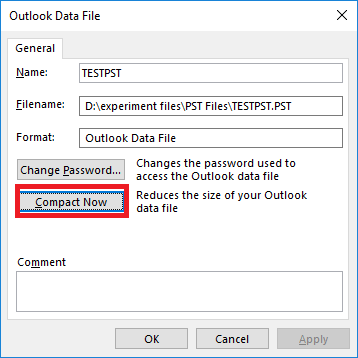 This tool compresses and compacts Outlook PST files to reduce their size. It clears unnecessarily space so that new data can be saved. Compress PST tool also removes attachments from emails and saves them to a separate folder. 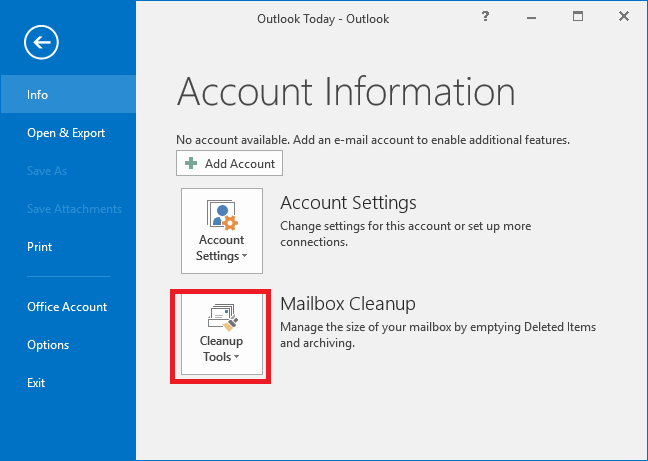 This tool helps users to remove Outlook duplicate items from mailbox folders. It uses advanced filters to detect duplicate items. This tool helps to split large-sized PST files into small PST files. 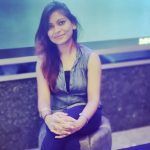 It splits files based on criteria like Date, Size, etc. 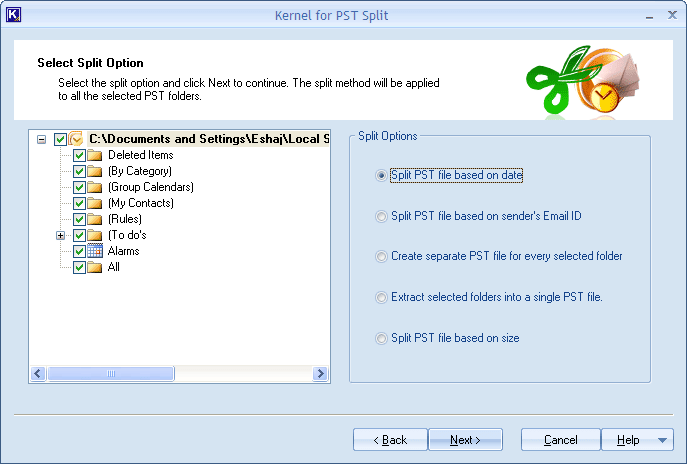 Even password-protected PST files can be split using this split PST tool. Third-party tools for Outlook management have many advantages of manual methods. They are more reliable, efficient, and fast compared to manual methods. Unusual size of mailboxes can trouble Outlook users in many ways. However, some manual tricks, as well as third-party tools, are available to handle these issues properly.